The exchange of scientists and students from all over the world enriches the Aalen campus and region day by day. Furthermore foreign students take advantage of the practice orientation and the excellent industry links of the university (9 Professorship Chairs sponsored by Industry). 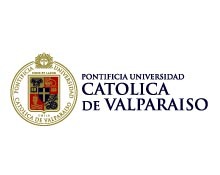 Since its foundation in 1925, the Pontificia Universidad Católica de Valparaíso has dedicated to serve the Valparaíso Region providing a unique academic experience that combines high academic standards and social commitment. The Ulm University of Applied Sciences is a university of applied sciences with study courses mainly directed at the technical sector. The study courses have a broad approach to open up a wide range of professional possibilities for graduates. 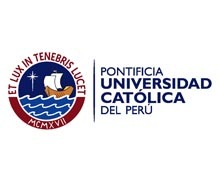 The Pontificia Universidad Católica del Perú is a community of teachers, undergraduate and postgraduate students, whose mission is the formation of qualified professionals with a high level of academic attainment. 4800 Students from more than 60 nations enjoy their studies in 5 schools (Chemistry, Electronics & Computing Science, Management & Business Sciences, Mechanical Engineering & Materials Science, Optics & Mechatronics). It is a comprehensive University, serving a student population of 14,000; it is an intensive research institution, graduating annually more than 20 Ph.D student’s, thus contributing to the country’s development. The success of Ulm University of Applied Science is based on the cooperation with industry. It integrates the areas of research and development with the help of own research institutes and several Steinbeis Transfer Centers of the Steinbeis Foundation for Economic Development Stuttgart. Located on a 43-hectare campus and with a student population of more than 19,000, the University’s teachers, students and graduates are dedicated to the achievement of the highest standards in research and academic work, projecting their work towards the entire national community. 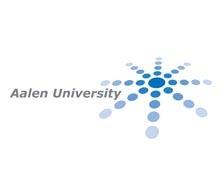 Being a member of one of the universities of applied sciences of the State strongest in research means being a member of the world too: international relations are one of Aalen’s trademarks and flourishing partnerships exist to 75 universities around the globe. PUCV welcomes around 850 international students every year who come from various destinations such as the United States of America, France, Germany, Italy, Spain, Brasil, to name a few. 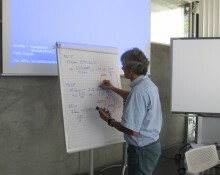 A refined continuing education program for working people and others rounds off the scope of Hochschule Ulm. 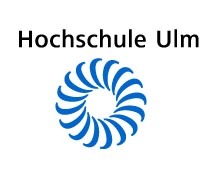 Hochschule Ulm is offering 16 undergraduate degree courses and 6 Master course programs for currently 3300 students. The PUCP promotes intensive student mobility through university networks or bilateral exchange programs. Students can participate in over 100 exchange programs and other mobility programs. The ESDI-DIES Project partners reunited once again in Germany in April 2015 for the fifth workshop on quality management at university and international management by objectives. 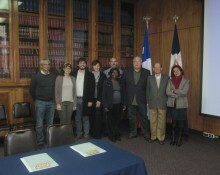 The workshop began with a two-day meeting in Ulm hosted by the international relations office. 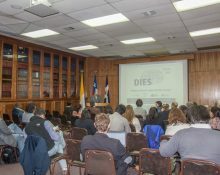 WS4 took place in Valparaíso from September 27th to October 1st 2014. Partners had an update session on the strategy roadmaps resulting from the previous workshop “Fund Raising, International Project Management & Industrial Networks”, aiming at connecting the matters of internationalization strategies with the subjects related to internal internationalization processes.